For the past year, Stockholm-based label Northern Electronics has been an outlet for some of the finest exports from Scandinavia. 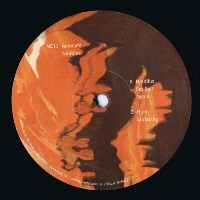 Run by producer Abdulla Rashim, the label has gained a reputation for finely textured, black metal-inspired sounds in various genres, from ambient to techno. Building off the success of Abdulla Rashim’s own self-titled label Abdulla Rashim Records, Northern Electronics has helped bring several less well-known Swedes into the international limelight, including Varg and Acronym. Nautilus is Acronym’s second release for N.E. (after 2013’s River Red Gum). After rolling out a string of vinyl-only EPs on his personal label, Dimensional Explorations, Acronym has become a favorite among DJs like Rødhåd, Donato Dozzy, and Alan Backdrop (Backdrop’s recent podcast for Invite’s Choice contains three different Acronym tracks). Nautilus sees the young Swede continuing to develop his style, combining deep, beautiful chords and pads with dense, African-inflected rhythms. The aptly named title track, “Nautilus”, features a spiraling groove composed of pitched toms that suddenly switches from a scattered, broken beat to 4-on-the-floor halfway through, while the more subdued “Nemo” lets an angelic, major-chord pad shine above a tribal drum circle. From there, Acronym moves into headier territory with “Hunt”, a frightening piece with bursts of white noise on every 5th beat, and “Surfacing”, which sounds like wind whipping over Arctic sea ice. At this point, two years after his first vinyl release with Dimensional Explorations 001, Acronym is clearly comfortable in his own style. Nautilus is a mature piece that shows a producer who can maintain his unique voice while branching out into different styles. It’s also a piece that shows why Sweden is one of the brightest spots on the techno map at the moment. With output like this, Northern Electronics continues to cement its reputation as a powerful creative force on the more introspective end of the techno spectrum.